Blog2Social uses the official Google My Business API to send your content to your business listing. You can connect business listings with up to nine different locations to Blog2Social and choose which location you want to share your content on. Google allows access to the API for all companies with up to 9 locations. According to Google, it is possible that this could be extended to larger companies in the future. 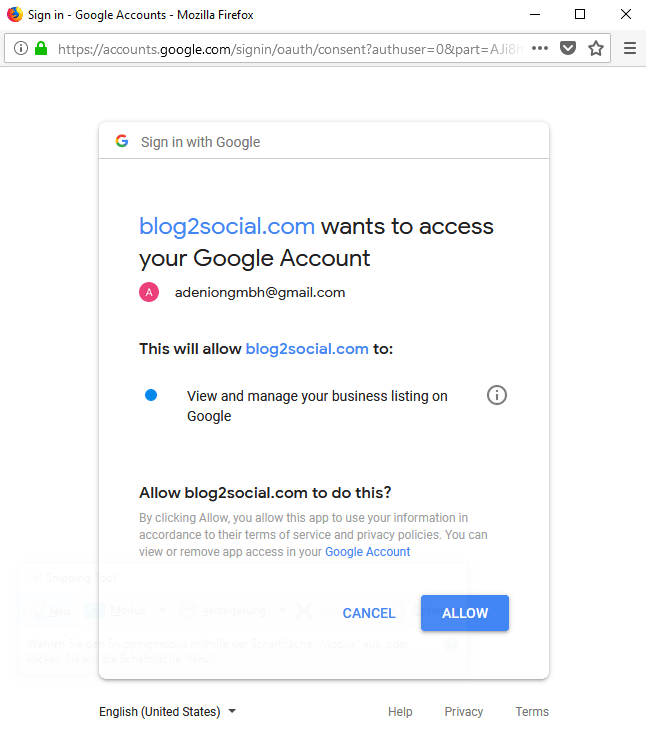 While connection your Google account, you will be taken to the access confirmation page. Please make sure to click “allow” to grant Blog2Social the rights to publish on your Google listing.